The Royal Caribbean cruise ship The Mariner of the Seas left Miami on Monday for a four-night cruise to the Bahamas, taking in Nassau and CocoCay. It is scheduled to return to Florida on Friday, according to the maritime blog Cruise Law News. 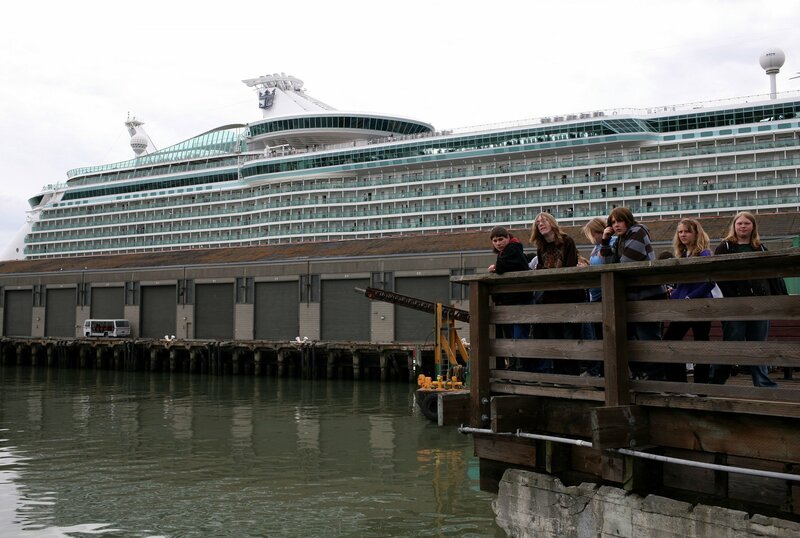 The Royal Caribbean Mariner of the Seas cruise ship pictured on May 1, 2009, in San Francisco. A passenger aboard the vessel who went overboard was reportedly rescued. Justin Sullivan/Getty Images Guests onboard the ship provided details to KC Jarvis, who operates a Periscope account where he broadcasts videos regarding Royal Caribbean. He noted that the cruise was popular among young people on spring break, although there were no further details about the person in the sea. “We have an Oscar, Oscar, Oscar, there is a man overboard,” Jarvis said. In January, the Coast Guard called off a search for a missing Royal Caribbean Majesty of the Seas’ crew member, who had gone overboard during a five-day cruise, also to the Bahamas. Once the crew member went overboard, the captain stopped the ship to begin rescue efforts before the Coast Guard took over the search. The crew member’s name was not released, but The Associated Press reported he was 26 years old. Earlier in March, passengers onboard another ship also witnessed a dramatic rescue. Those aboard the Regal Princess, operated by Princess Cruises, watched as crew helped save the pilot and a passenger of a plane that had landed on the water 23 miles off the coast of the Turks and Caicos.